Work shoes so cool you’ll forget they were for work? Yeah, it’s true...they exist. Not only do these Reebok Sublite Cushion ESD Men’s RB4040 Alloy Toe Blue/Grey Athletic Oxford Work Shoes look so cool you’ll never believe they’re made with industrial stre ... (see full details) (see specifications) #RB4040. Work shoes so cool you’ll forget they were for work? Yeah, it’s true...they exist. Not only do these Reebok Sublite Cushion ESD Men’s RB4040 Alloy Toe Blue/Grey Athletic Oxford Work Shoes look so cool you’ll never believe they’re made with industrial strength for working environments, but they also feel so much like your favorite athletic shoes you may even want to wear them on the weekends. The only part that might help you remember is the printed “alloy toe” label on the uppers. (It’s a lot like the “low fuel” light on your car, and it’s there as a reminder for some people who need it!) Lightweight and packed with athletic shoe technology, these men’s safety toe shoes are everything you need to keep up at work in comfort, with a little style thrown into the mix. The alloy toe caps are ASTM F2413 approved for workplace safety and are lighter in weight than steel, and these also meet or exceed ASTM standards for electro-static dissipation (ESD). These handsome low-cut men’s shoes are made with blue and grey mesh with webbing on the uppers for the ultimate in breathability and moisture transfer all day long. You'll have a hard time finding work shoes with more breathability than these men’s oxfords. Lined with moisture-wicking mesh to aid in the moisture movement, the only thing that would make the moisture-wicking performance of these Reebok blue and grey shoes any better would be performance socks. (We have plenty of those!) There's no exposed metal on the uppers of these lightweight and flexible athletic shoes either. Underneath it all is Reebok’s own Sublite foam midsoles, designed for maximum cushion without weighing you down, these shock absorbing insoles also add incredible flexibility to the ESD shoes, thanks to the deep flex grooves, which is great for someone who tends to crouch or kneel a lot on the job. The alloy toe caps are ASTM F2413 approved for workplace safety and are lighter in weight than steel. With dual resistors and no exposed metal on the uppers, these safety toe Reebok shoes also meet or exceed ASTM standards for electro-static dissipating (ESD) shoes. But safety doesn’t stop there. The Sublite Eva midsole is capped off with rubber heel and forefoot pads for the ultimate grip and slip resistance for the outsoles. With more traction focused at the heel strike and forefoot, you can maximize traction, especially at take-off, and minimize the weight. All of this adds up to these Reebok Sublite Cushion ESD Men’s RB4040 Alloy Toe Blue/Grey Athletic Oxford Work Shoes from Working Person's Store being industry-leading for lightweight safety toe shoes, weighing in at approximately 350 grams per shoe. Athletic support in a lightweight comfort that has the potential to help with ankle, knee, and hip pain might be just what you need when you spend a lot of time on your feet at work. And don’t forget how cool they look...so cool you’ll forget they’re for work. But go ahead and wear them out and about, we’ll never tell. 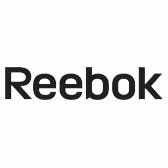 I just wanted to share my experience with Reebok's Sublite line of work shoes to others looking to spend their money wisely. I bought a pair of rb4040 Sublite's almost 1 year ago now and I could not be happier with them. With the potential of snowfall coming in just a few more months, I looked on the Working Person's Store to buy a pair of insulated waterproof work boots for the season. I purchased a new pair of winter boots and while I was on here, I also bought another new pair of rb4040 Sublites for when my first pair needs replacing, even though they are far from being worn out. That is how impressed I was with the sublites. They are indeed very light-weight, and due to the alloy safety toe, they are less bulky than composite toe shoes. From day one they were extremely comfortable. There was no suffering from a discomforting break-in period. In fact, they were so light-weight and comfortable, I could hardly tell I had shoes on. I have worn them about 60 hours a week for 10 or 11 months now and they are still like new. Even the insoles are still comfortable and not tore up. Great line from Reebok. Reebok Shoes: ESD Men's RB4040 Alloy Toe Blue/Grey Sublite Cushion Athletic Oxfords is being added to your cart.